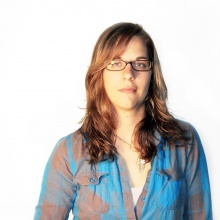 I'm Beth and I'm a recent architecture graduate living in the Washington DC area. 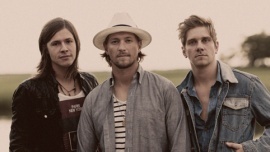 For my project I'm working on a poster for Needtobreathe. A lot of gig posters I have see for Needtobreathe all stay close to showing some kind of imagery of the name. Either something underwater or trying to breathe. Because of that I tried to stay away from that. A lot to my thoughts when to the idea of driving or the night sky. A lot of the time I put their music on when I driving. I can just imagine a simple illustrated vintage truck driving. Either that or focusing on the dashboard of a car. Thinking about the night sky, one of the ideas I had was to do a simple juxtaposition of the moon and some stars and then simple text at the bottom or drawing their name up in the stars. So far I only have three very basic sketches. Just kind of outlining what could be options there are. I haven't really figured out a color scheme, but I know I want a darker poster that would fit with the bands image.